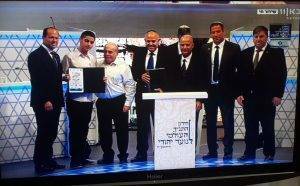 The Sci-Tech Network’s Director-General Award was awarded this year to Ofek Avraham, an 11th-grade student in Sci-Tech Bama’ale High School, Tiberias, in recognition of an admirable achievement. Ofek came third in the International Bible Contest, which was dedicated this year to Israel’s 70th anniversary. The International Bible Contest for Youth is a quiz competition of Bible knowledge, held in Israel every year on Independence Day. Contestants include Jewish youth from Israel and the world over, and attending dignitaries include the Israeli Minister of Education as well as the Prime Minister. The contest, held as usual in the Jerusalem Theatre, was dedicated this year to the 70th anniversary of the state of Israel. The final stage comprised contestants from the USA, Mexico, Panama, Australia, Argentina, and South Africa. The early qualification stages drew some 4,000 high school students from all over the world, and 79 finalists from 41 countries made it to the finals in Israel. Four Israelis won this year’s top places, and the winner of the third prize was Ofek Avraham. 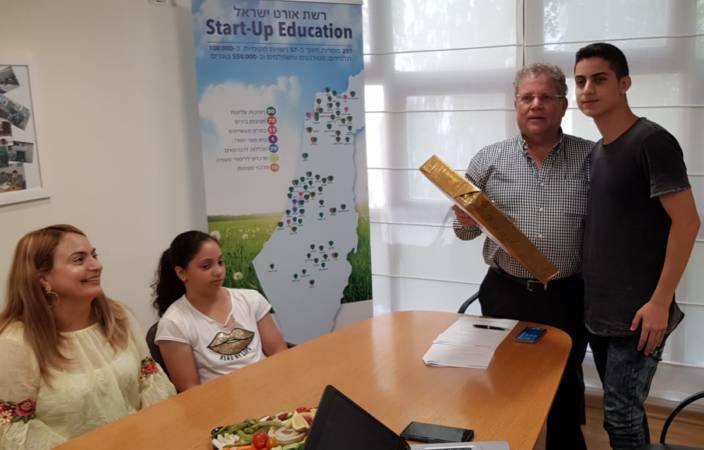 The award was given to Ofek by the Israel Sci-Tech Network’s Director-General, Mr. Zvi Peleg, in a ceremony attended by Ofek’s family as well as members of Israel Sci-Tech Network’s management.